A storm is approaching one of the highly populated parts of the United States. And it’s not an ordinary storm. 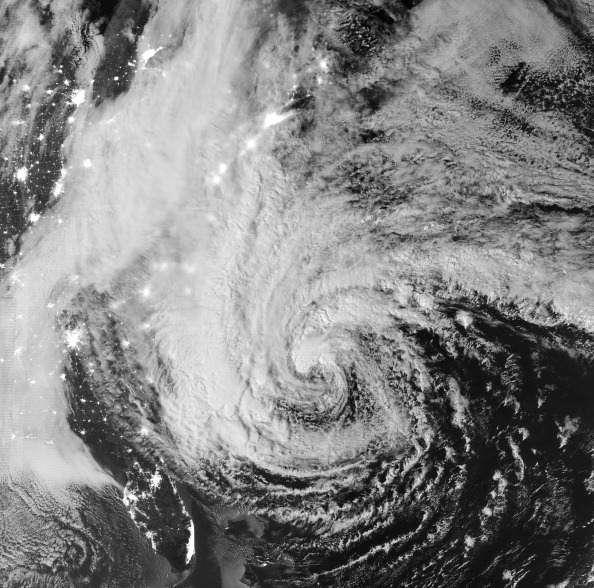 It’s a hurricane that has been dubbed “Frankenstorm” because of its mix of winter and tropical cyclone weather. To help the population prepare for it, Google’s Crisis Response Team just developed a map around Hurricane Sandy to let you know where the storm is and provide you with updated emergency information. 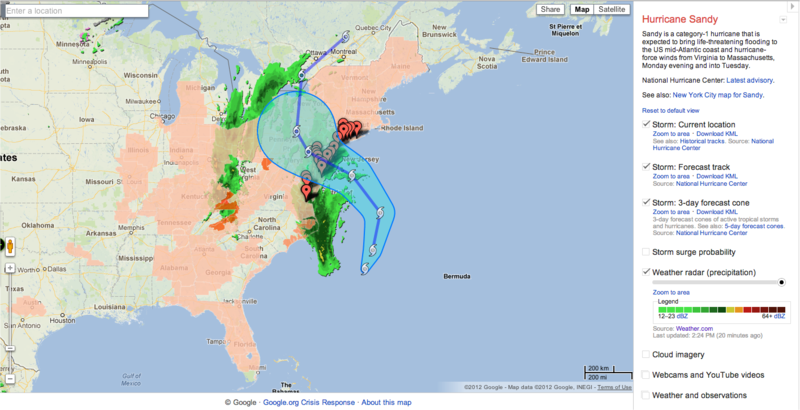 To help people monitor the size of this storm, Google has rolled out an interactive map so you can trace Sandy’s path through the country. In addition to tracking, you can get public alerts such as evacuation notices, storm warnings and more through the US government’s weather website. Radar and cloud imagery, evacuation routes and information, shelter locations, and storm footage curated by Storyful, will be available. As the storm approaches, this map will be incredibly helpful for those of us away from the affected area, but have friends and family in the hurricane’s path. You can monitor the situation and if there are evacuations, you will know without having to try and reach your loved ones by phone — in most cases, the phone lines will be congested and it’s advised to say off of them to allow for emergency calls to get through. This map can also be easily shared and embedded onto your website and will be updated as more information becomes available. Google’s Crisis Response team was set up since Hurricane Katrina battered the Gulf Coast in 2005 and is focused on helping make information like storm paths, shelter locations, emergency numbers, and donation opportunities easily accessible to any one who wants them. Previously, it has developed maps and resource pages for the Phillipine floods in August 2012, floods in Russia in July 2012, wildfires in the US in July 2012, the Indonesian earthquake in April 2012, and the Japan earthquake and tsunami last March, in addition to many others. For those of you in the path of Hurricane Sandy, please be safe. Make sure that you have plenty of supplies to last you through the storm and that you take all necessary precautions and adhere to all safety advice, including any evacuation orders.